The 2018-2019 NHL Season has Begun! The 2018-2019 NHL season kicked off on October 3rd and it's already shaping up to be quite an eventful one! So far we've seen some fantastic moments like John Tavares' first goal as a Maple Leaf, Elias Pettersson's first goal in his first NHL game and so much more in the few games that have happened this season. If you haven't been paying attention to the season yet, this blog will help recap the best debuts from around the league! John Tavares is a Maple Leaf. It still sounds weird to say, but Tavares is making sure the Leafs have no regrets about their July signing. A quick cut and snipe are all it took for Tavares to get his first as a Leaf. At this pace, Tavares is on track to score 82 goals this regular season! It's a good time to be a fan of the Toronto Maple Leafs, that's for sure. Another great performance in a debut game goes to Elias Pettersson of the Vancouver Canucks. With a ton of hype surrounding the rookie coming into this season, Pettersson made sure he lived up to the hype. With a goal and an assist in his first NHL game, Canucks fans can get excited about the new era of youngsters in their system. Elias is on pace for 82 goals and 82 assists this season (take that Tavares!). In all seriousness, the future of the Canucks looks bright, but Pettersson will have to tone it down if the Hughes brothers want to unite. It may not have been the best game for the Sabres losing 4-0 to the Bruins, but the future is bright in Buffalo with Rasmus Dahlin holding down the blue line. It may not have been a debut as spectacular as Pettersson's or Lajoie's, but 22:37 TOI is nothing to be ashamed of either. Dahlin will be a staple in Buffalo for many years to come. With a goal and an assist, Lajoie brought his parents to tears in a pretty cool moment in his debut for the Ottawa Senators. It's got to be a pretty special feeling for a hockey parent to see their kid make the big leagues, and then score in their first game. All those early mornings paid off for the Lajoie's as their son made the most of his first NHL game. It also probably brought our friend bRian to tears as well, so that's a win for us! After slipping to 50th Overall in the draft, Comtois made it his mission to prove all the teams that passed on him wrong. So far, he's doing just that. With a flick of the wrist, Comtois threaded the puck through Martin Jones' five-hole to get his 1st career NHL goal on his first shot! 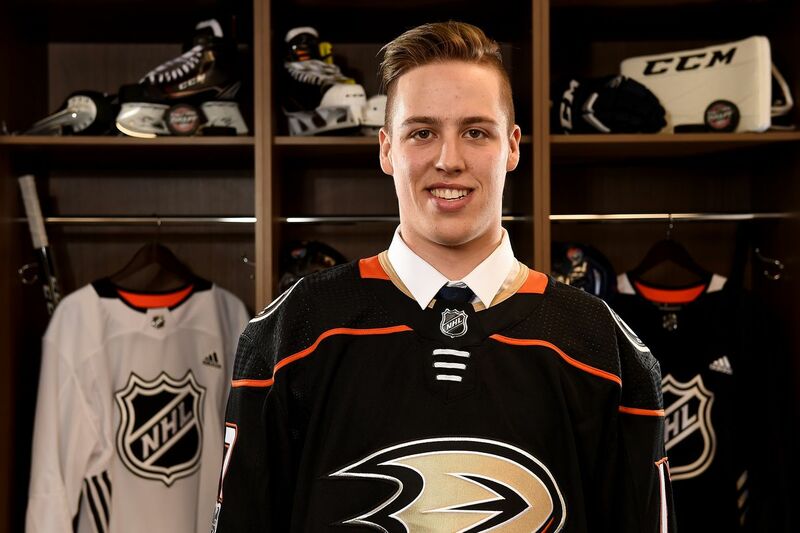 Like many of the rookies above, we're sure Comtois will easily develop into a Ducks fan favourite this season. Arguably weirder than being able to say that John Tavares is a Maple Leaf is the fact that we can say Erik Karlsson is a Shark. 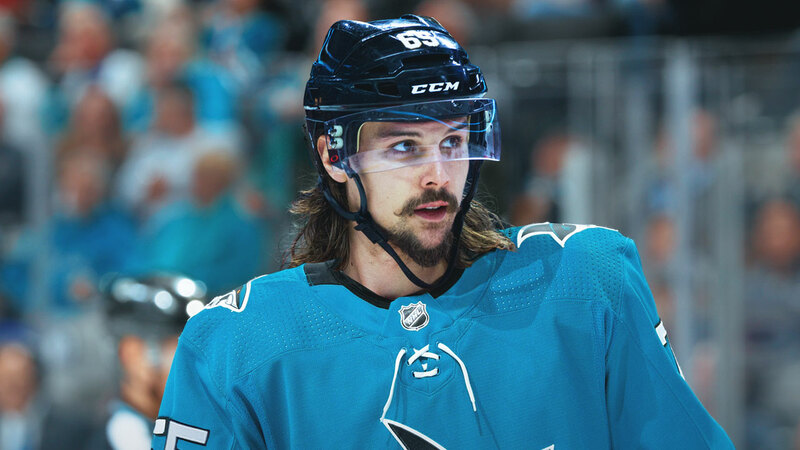 Karlsson made his debut for the Sharks this past Wednesday and logged over 26 minutes in TOI, good enough for the most of any player in the game. It was a pretty forgettable debut but his TOI proves how big of a role he's going to play in the Sharks lineup this season.